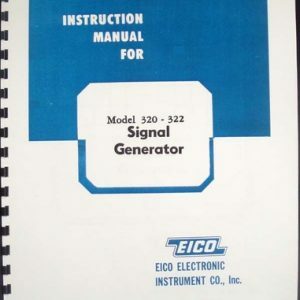 For sale is a reprint of collection of EICO Model 625 Test Data. 256 pages of information: scans of roll charts, data booklets, updates, supplements. This book does not include operating instructions or construction manual. First section of the book are scans of roll charts: Chart 625-03 7 Pages, 625-04 7 Pages, 625-05 7 pages, 625-06 7 pages, 625-07 7 pages, 625-08 8 pages, 625-09 8 pages, 625-10 8 pages and 625-11 14 pages long. Second section is roll chart supplements: Supplement to roll chart 625-03 2 pages, Supplement to roll chart 625-05 (obsolete or seldom used tubes) 4 pages, Supplement to roll chart 625-06 (obsolete or seldom used tubes) 4 pages, Tube Chart Supplement 625-07 3 pages, Tube Chart Supplement 625-08 Addenda 2 pages, Tube Chart Supplement 625-08 8 pages, Tube Chart Supplement 625-10 7 pages. Third Section consists of: TV Picture tube adapter with 2 pages of test data and 2 page tube inter-changeability chart. 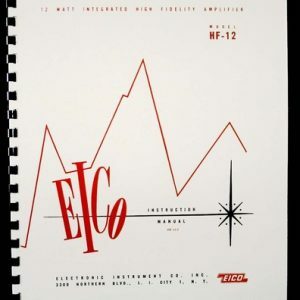 Fourth and final section consists of tube test data booklets scans: Test Data 2-1-73 20 pages, Update 11-1-70 2 pages, Update 11-1-73 2 pages, Update 6-1-73 2 pages, Update 01-11-72 9 pages, Update 8-15-74 1 page, Update 2-15-75 2 pages, Tube Data Book 75/76 59 pages and finally 59 page Tube Test Data Book dated January 1978. 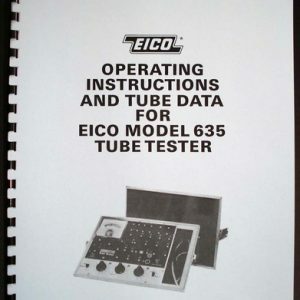 1978 tube test data book is latest version available. 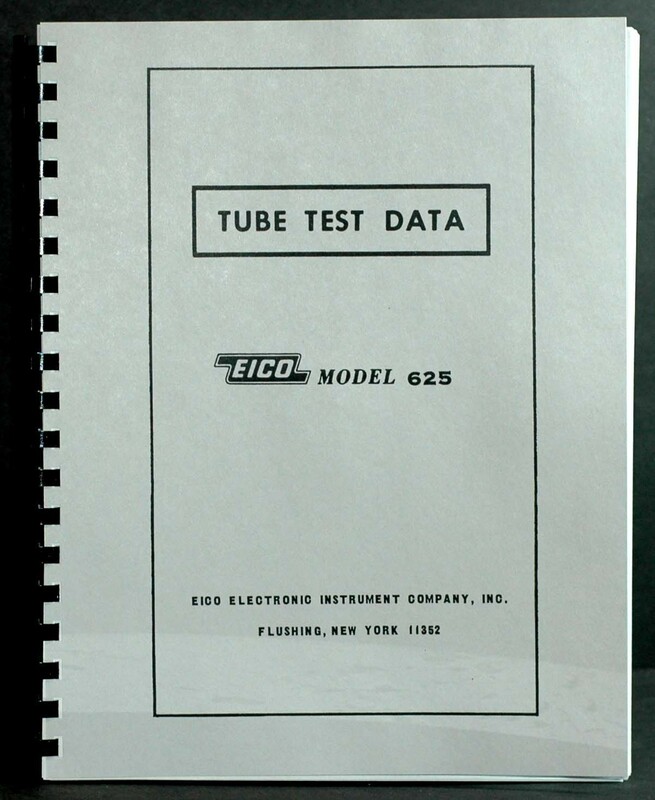 1978 Tube Test Data was enlarged from 5×7″ booklet. Looks like pages of tube test data booklet were typed on typewriter and mimeographed. 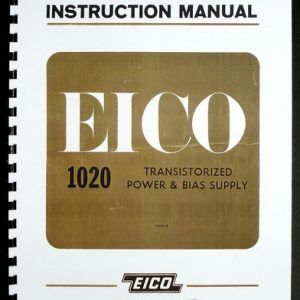 Text is very clear and readable but not as sharp and perfect as in manuals that were offset printed.